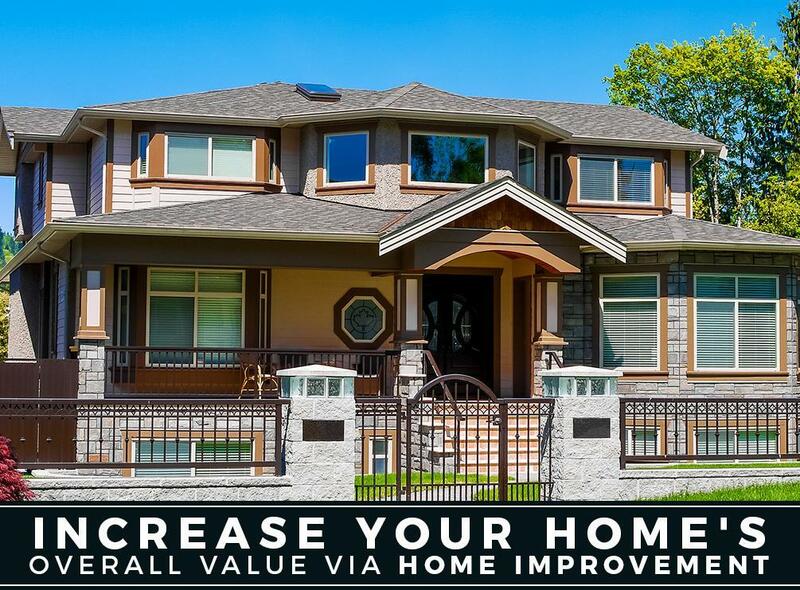 Home improvement ventures add value for homeowners’s properties. While compliments on your remodeling efforts are always a welcome payoff, nothing beats seeing your home value rise as a result of your hard work. Though you want to improve your property and increase the value, you also don’t want to spend where you won’t see a significant return on your initial investment. From replacement roofing to window upgrades, here are some home remodeling projects that increase your home’s value. New roofing probably isn’t the first thing that comes to mind when thinking about home improvements that increase home value. But research done by Remodeling Magazine reveals that having new roofing installed can have a big impact on home value, specifically on home resale value. A roof can account for as much as 40% of your home’s exterior. A professionally-installed roof will protect you and your family from the elements, improve curb appeal and increase your home’s worth. New windows are a functional update that does much to improve energy efficiency. On average, a house may lose around 30% of its heating energy through its windows. ENERGY STAR®-certified windows take into account the window frame, panes of glass and their ability to resist air leakage and prevent heat loss. This can improve your home’s energy bills by 7% to 15%. With these replacement windows, you immediately save money because the energy savings alone make your home more valuable. It can be tricky to determine which home improvement projects are worth the sweat and which aren’t. Upgrades usually cover new siding and exterior paint, a new roof, and updated windows, insulation, plumbing, and furnace. Ask your trusted contractor about which projects can do the most for your home. Rogers Roofing offers a wide selection of quality roofing products and windows. We have the products, sizes and custom solutions needed to turn your remodeling dreams into reality. Our service areas include various cities in Illinois, including Evergreen Park and Hammond, IL. Call us at (219) 933-9145 today.